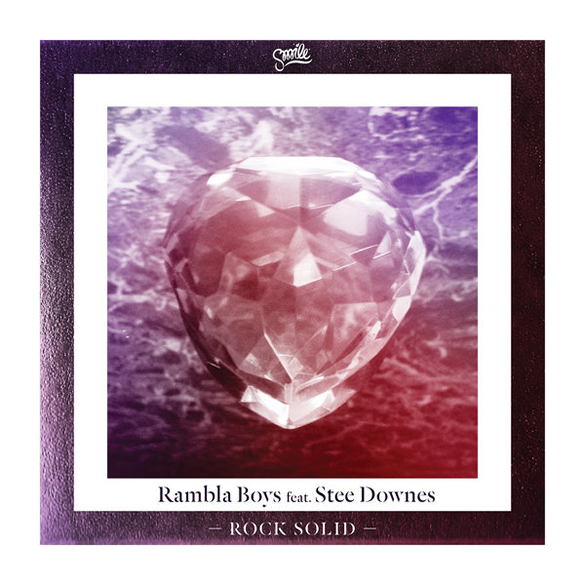 Rambla Boys got attention from the blogosphere thanks to great remixes for Round Table Knights, Groove Armada, Chromeo and Franz Ferdinand. Their tracks have been played by Mickey, Jeremy Glenn, Attar!, C90’s, Justin Faust, The Drop Out Orchestra and Tim Sweeney on his legendary program Beats In Space. Here it is their first release on Smile Recordings featuring the stunning vocals by Stee Downes (who’s had a couple of #1s on Traxsource) and remixes by Mickey and Rick Shiver. M A N I K (NYC): Its a dope track. I will DL it and play it over the wknd. Mirror People: thank you for sending. i’m into the rick shiver dub here! Human Life: the original is hot… nice job! James Curd: Sounds good! Thanks! Downloading now. ‘Rock Solid’ is out now on Smile Recordings.